This shoe embodies dynamic function and flexibility for Alpine running as developed within the framework of the X7 endeavor. The Feline X7 offers security on rock and scree and is the appropriate shoe for ambitious athletes who move fast and light. Thanks to the BOA LACING SYSTEM, athletes can adjust fit and feel of the lacing in a snap during the run. The fit was a special focus during development: The Sensitive Fit Plus enables optimal fit. The breathable and stretch upper adapts to the shape of the foot and offers great comfort. The mesh material has a modicum of flexibility so when feet swell over longer distances you are still ensured comfortable freedom of movement. 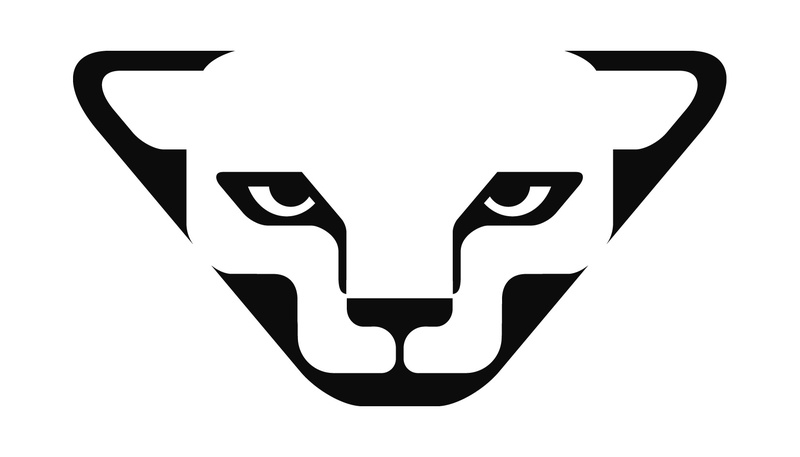 The sole construction, which was inspired by the paw of the snow leopard, earned special attention to ensure good grip. 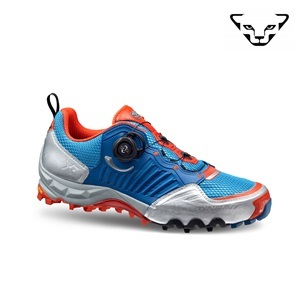 Thus, this style performs on demanding terrain, on Alpine trails, on rock and scree. In changing conditions, the Vibram® outsole with Mapping Compound technology shows off its strengths. Thanks to a mix of three different rubber compounds, the sole adapts to any surface, be it dry or wet. This style has a heel-to-toe drop of 8 mm. That is consistent with the trend in mountain sports and enables quick response as well as optimal ground contact by the foot. In addition, the Multipad Midsole adapts to every terrain. This guarantees precision movement and saves energy. The breathable ORTHOLITE footbed conforms to the shape of your foot, supporting the fit and feel in particular on demanding terrain. The Ballistic Bumper protects from impacts and sharp stones. The reinforced toe cap wraps around the forefoot and also improves the shoe’s durability. The Dynafit brand is for people who live mountain sports and Dynafit is committed to serving all ambitious ski mountaineers. The South Tyrolean brand constantly strives to make the ski mountaineer stronger in all aspects of the sport. All materials and fabrics are carefully sourced, selected, tested and finally implemented. No product management decision is made without a clear 'GO' from our ski mountaineering teams. Our four corporate divisions Boots, Bindings, Skies and Textiles work hand in hand with top teams of mountaineering experts. This is the simple reason why we are always way ahead when it comes to innovation in the ski touring market, be it with the lightest binding made of titan, a carbon boot, or the lightest ski-core technology on the market. Dynafit is an ultra technical brand that often exceeds consumer expectations in a provocative manner. Dynafit challenge is having the lightest, highest performing, yet most trustworthy material at hand. DYNAFIT people reach the top in the fastest time, with the best feeling, and with plenty of power left for the ultimate powder ride.